A simple and sober place with cozy rooms for a comfortable stay. 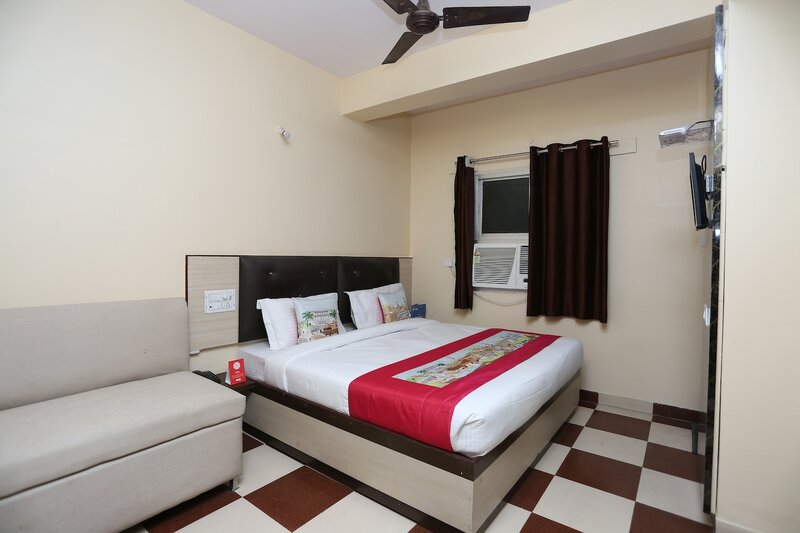 Hotel Bharat Inn is a fine place with a simple external structure and a warm and inviting interior ambience. The bedrooms at the hotel have light colored walls and heavy wood furnishings with wall decals giving the rooms a cheerful and bright ambience. The cushioned headboard adds to the comfort of the guests. The bathrooms are well-maintained and equipped with modern amenities. The hotel provides its guests with free Wi-Fi and power backup so that they can remain connected with the rest of the world. Other amenities offered by the hotel are laundry and parking facilities along with a card payment option.